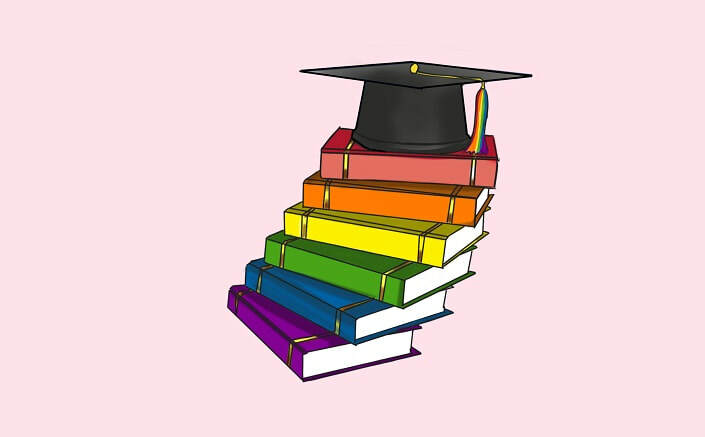 Each spring, PFLAG Cape Cod awards several thousand dollars to a graduating senior from high schools across the Cape and Islands who will be furthering their education at an institution of higher learning. Students chosen for these awards have shown, through their actions and example, support and advocacy for the LGBTQ community. Since 2003, we have awarded over $56,000 in scholarships! In the spring of 2019, PFLAG Cape Cod will be awarding a $3,000 scholarship. If you or someone you know is a senior in high school and would like to apply for a scholarship, please click this link for the application. The deadline for submitting the application and the accompanying materials to the student's high school Guidance Department is March 29, 2019. PFLAG Cape Cod is proud to announce Celia Krefter of Mashpee Middle-High School as the recipient of a $2,000 Scholarship for 2018! An outstanding student who bypassed the eighth grade and earned straight A's throughout high school, Celia is also a passionate leader and advocate for the LGBTQ community in her school. In February of her freshman year, Celia attended her first GSA (Gay/Straight Alliance) meeting, an event which changed her life forever and inspired her to come out as gay to her mom a few weeks later. The group was still a well-kept secret when she was elected its President at the end of her sophomore year, but at the beginning of her junior year and with two weeks of tireless promoting, along with the decision to allow middle school students into the group, the GSA welcomed more than twenty new members, most of them middle schoolers. Those students now form the core of the group, the largest on the Cape at forty members strong. 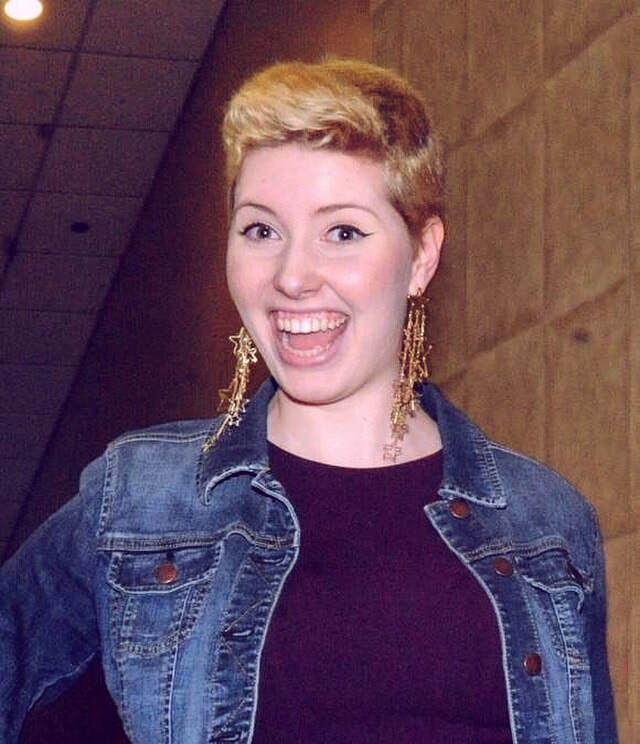 The school's GSA adviser notes that while Celia was GSA President for the last two years, she would teach and coach the students, through games and discussions, about terminology, current events in the LGBTQ community, and how to deal with challenges in personal and social situations. A defining moment for Celia and the GSA was right after the 2016 election when a sense of heavy hopelessness fell over the students. As its fearless leader, Celia encouraged and uplifted her peers by reminding them that "We cannot let this fear take us over. Our GSA, and the LGBTQ+ community as a whole, is one that is centered around love. Our mission for the next four years is not to cower in fear, but to spread love. Educate the ignorant rather than fight them. Be a light for others by being your beautiful selves. Love will always win." As her guidance counselor noted, Celia is truly one of a kind, a "change agent" whose positive and energetic style are an inspiration to her peers and teachers alike. A member of the National Honor Society and ranked number one in her class, Celia is an ambitious, outgoing, humorous and supportive individual who understands the importance of hard work, family, and commitment. She deftly balances an extremely busy schedule, both in and out of school, with her involvement in school and community theater, dance, jazz band, Big Brothers/Big Sisters, storytelling at the public library, being GSA President, and an intense academic curriculum... all while making it look easy to those around her. As Celia says, "I love to learn and do the things I enjoy." In the fall, Celia will be double majoring in Drama/Theatre Arts and Human Rights at Columbia University in New York City with the goal of pursuing a career as a professional actress and human rights ambassador. It is her strong belief that art activism is the most effective type of activism, and that artists hold more power than anyone else to create change in the world. As Celia has indicated, "I know that it is my responsibility as an artist to use my voice and creativity to advocate for LGBTQ+ people across the globe." PFLAG Cape Cod congratulates Celia Krefter for being awarded the 2018 Scholarship, and expresses its gratitude and well-wishes as she embarks on a journey to make the world a better, kinder, and more inclusive place for all!